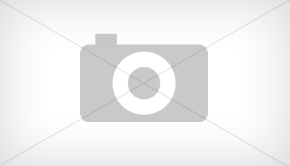 Apple introduces their desktops to multitouch and gestures with the all new Magic Trackpad. 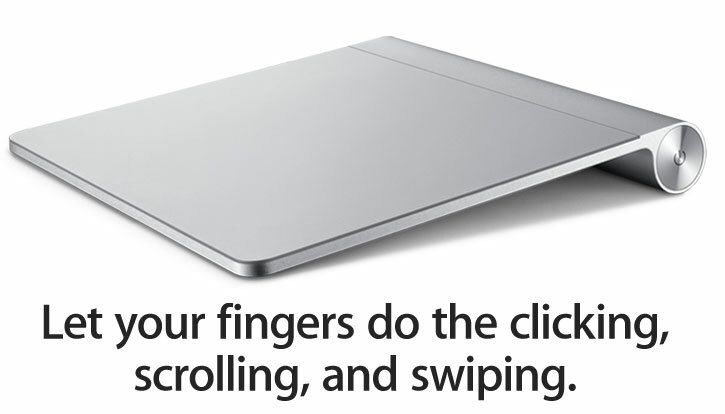 It’s basically a larger version of the trackpad that is on Apple’s own MacBook Pro’s. The Magic Trackpad sports 80% more surface area with full support for all the gestures that MacBook Pro users have long since been enjoying: two-finger scrolling, pinch to zoom, fingertip rotation, and three- and four-finger swipes. The whole surface of the Magic Trackpad acts as a mouse button, but if you need the right click capability, you can easily enable it via System Preference (MacBook and MacBook Pro owners are should be familiar with this). If you need to double click, just do a double tap. It sounds convoluted but it’s actually pretty simple to use. If you’re worried about aesthetics, the Magic Trackpad has you covered as it features the same design and angles as Apple’s wireless keyboard. With how good these two look together, you might wonder why in the world hasn’t Apple done this before. The Magic Trackpad uses bluetooth to connect to your PC and Apple claims that you’ll be able to enjoy a stable bluetooth connection of up to 33 feet away. The downside of course is that it uses batteries for power, just like the Apple Mighty Mouse so battery life might be an issue. In tandem with the release of Apple’s second battery powered gadget, the company has also released an Apple branded battery charger. Surprising? Not really since it’s a good marketing strategy. The Magic Trackpad goes on sale for $69. Batteries and the charger are sold separately.